Given my loves of brick, historical neighbourhoods, and finely distilled beverages, it’s no surprise I fell pretty hard for Toronto’s Distillery District. Once the home of the Gooderham and Worts Distillery, it’s the “largest and best preserved collection of Victorian Industrial Architecture in North America,” and now, a national historic site. The story began in 1831, when James Worts emigrated to Canada from England and began a grist mill. He was followed by his brother-in-law, William Gooderham, and the two partnered in the milling business. Two years later Worts’ wife died tragically during childbirth, and he was so distraught he committed suicide by jumping into the company well. Gooderham continued the business by working with the Worts’ eldest son. With an increase of grain from Upper Canada, the company expanded to include a distillery. It became so successful that at one point it was the biggest in the world. The good fortune came to an end with World War One, however, when production of spirits halted in order to produce acetone needed for weaponry in the war effort. Next came prohibition which, in addition to being a rotten time for everyone, was an especially difficult time for distilleries. In 1923 the failing business changed hands, and switched to mainly producing rum. In 1990, the distillery closed altogether, but found new life as the number one film location in Canada (only the second outside of Hollywood). During the 90’s, over 1700 films were shot there! Today, the area is a “pedestrians-only village entirely dedicated to arts, culture and entertainment.” That’s what we saw. There are shops, cafes, brewpubs, and eateries, including a stunning Mexican restaurant called El Catrin, with warehouse-high ceilings and the biggest bar we’ve ever seen. 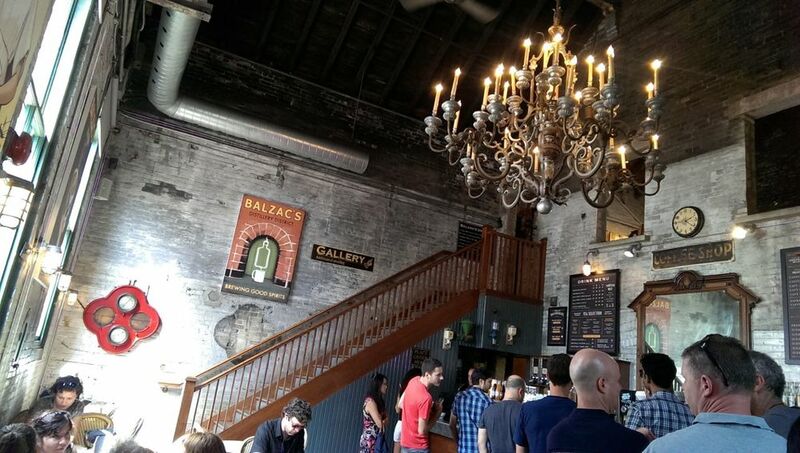 And don’t even get me started on the building Balzac’s Coffee is in…. 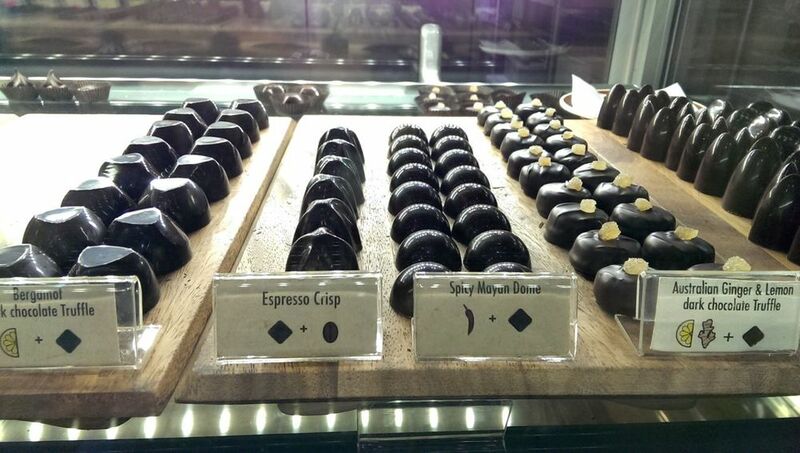 Most exciting for us: the Distillery District is home to SOMA Chocolates. SOMA is a bean to bar producer, meaning they source their cocoa beans directly from around the world, then turn them into hundreds of different products onsite. After their beans are harvested, fermented, and dried in their place of origin, they’re shipped to Toronto. At SOMA, they’re roasted, ground, refined, and conched, then tempered and formed into chocolate. It’s a process that requires a huge amount of skill and attention to detail. SOMA prefers working with Fairtrade organic beans in a number of varieties (you can think of cacao varieties the same way you think of wine grapes). Those used by SOMA include Criollo (one of the most rare), Trinitario (a mix between Criollo and Forestaro, the most widely-used variety), and Nacional (a form of Criollo). The result is a bar that’s a bit crumbly, very crunchy, and has a flavour that's difficult to describe......it tasted like a rich, dense, crunchy brownie. The most chocolately brownie ever made. 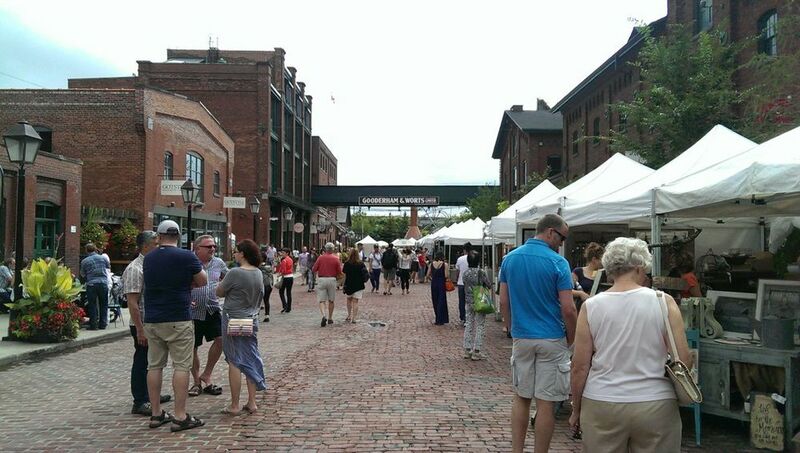 Bricks, cool eateries, and pure cacao - the Distillery District is certainly worth a visit.